Following on from his on “31 Days of Hammer” in January, his “31 Days of British Horror” in March and May, and his “31 Days of American Horror” in August and October, Jules is fixing to round out 2018 with 31 more days of classic American Horror movies. So brace yourself, folks. It’s going to be a bumpy ride. Latecomers to the horror boom, Columbia Pictures had made a few stabs at the genre before deciding that imitation was the easiest option to scare up the big bucks. 1943’s The Return Of The Vampire got it fairly bang on, casting Bela Lugosi in the vampire film Universal should have given him after the success of Dracula twelve years earlier, but in deciding to next rip off Val Lewton and Jacques Tourneur, the studio bit off more than they could chew. 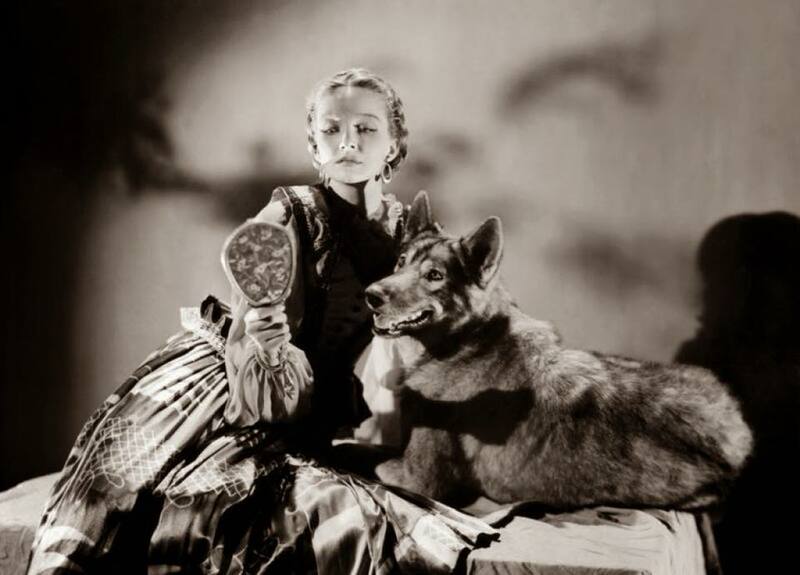 Cat People, their obvious source of inspiration for Cry Of The Werewolf, was a masterpiece of suggestion and implied threat, something that seems to have escaped first time director Henry Levin, who does well enough at times, but just doesn’t have the flair or imagination when it comes to land the killer blow. Dr Charles Morris (Fritz Leiber) is a researcher into paranormal activity who has set up his study in the old LaTour mansion in the bayous of New Orleans. It’s no ordinary house though, as it’s previous owner Marie LaTour was reputedly the last in a long line of werewolves and murdered her husband before disappearing into the swamp, a legend that Morris exploits as much as he investigates by setting up a tourist museum in the house to fund his research. Feeling close to a breakthrough, he summons his son Bob (Stephen Crane) home from Europe to assist him, but his gypsy employee in the museum Jan Spavero (Ivan Triesault) is less excited by his progress and fearing he is about to discover Marie’s sacred and very secret resting place, goes back to his tribe to tip off clan leader Princess Celeste (Nina Foch). 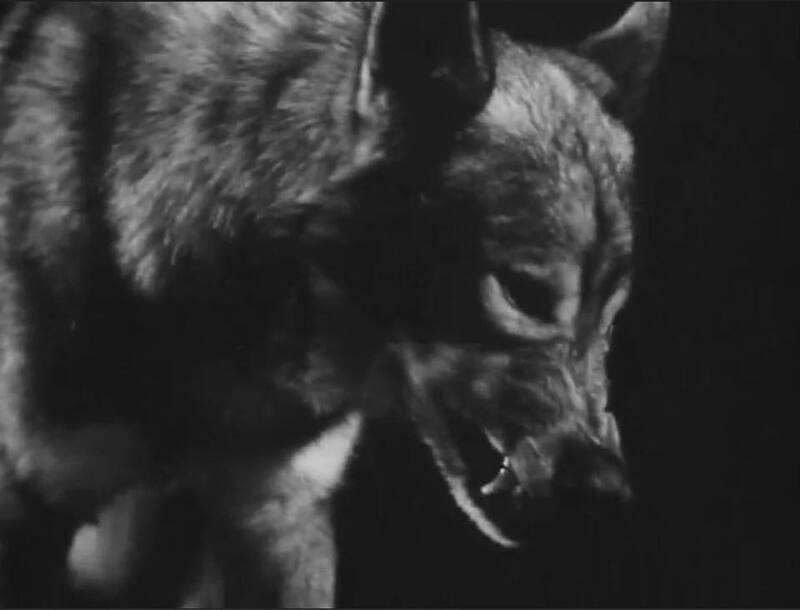 It might be a low-budget cash-in number, but there’s a lot to recommend about Cry Of The Werewolf before it shoots itself in the paw with a silver bullet. It looks marvellous for one thing. 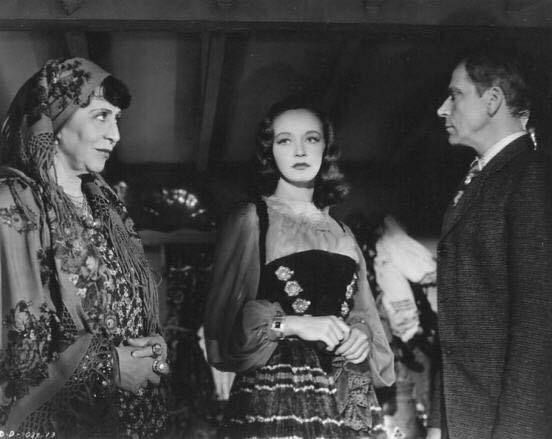 Shot (for one presumes the same financial reasons) like the film noir of the era, it’s wonderfully atmospheric, with lush, foreboding bayous and dark, barely-lit room, often with only a lamp for illumination, leaving plenty of dark corners for evil to be lurking. The area’s law enforcement are prime noir fodder too, all hard-nosed cops who’ve seen it all before and take a lot to ruffle. They’re the kind of guys who’d think nothing of taking on any gangster in New Orleans, but are quickly out their depth when a werewolf starts tearing apart the local populace. That werewolf is another high-point. Well, at least the actress is. As the haughty Princess Celeste, Nina Foch cuts an arresting figure. Beautiful, strong and with a nicely understated feeling of being a tragic character herself. She’s initially not too keen on this curse her tribe have brought all the way from the old country of Transylvania, but it’s not long before she settles into her role and other form. She’s a princess, she’s a woman and she’s also very much a wolf. Not only that, but she’s not a slave to the full moon, she’s very much in control of her abilities. In fact, the scenes at the gypsy encampment are where the film really shines, with brilliantly vivid caravans are populated with rich, vibrant characters, particularly the old hag who gives good old hag whenever she’s called upon as a gatekeeper. If that all sounds appealing, well that’s because it is. Until the “wolf” appears. Why? Because it’s so, so clear that the wolf isn’t actually a wolf…it’s an Alsatian. It’s howlingly obvious from the off and offers absolutely no tension whatsoever. Worse, even when all you can see is it’s laws as it stalks it’s victim, there’s no urgency there, just plodding pairs of paws, as if it’s out for a late night walk round the park and not about to tear someone limb from limb. Those scenes could easily have followed the Cat People model more closely and showed us nothing, but in forcing the issue when you can’t actually back it up is criminally stupid. It’s not as stupid as the denouement though, with a final battle with the werewolf/Alsatian. Completely lacking in any tension whatsoever, it’s made all the worse as you can now see the scale of the “creature” and it’s not even a large-sized dog. What were they thinking? 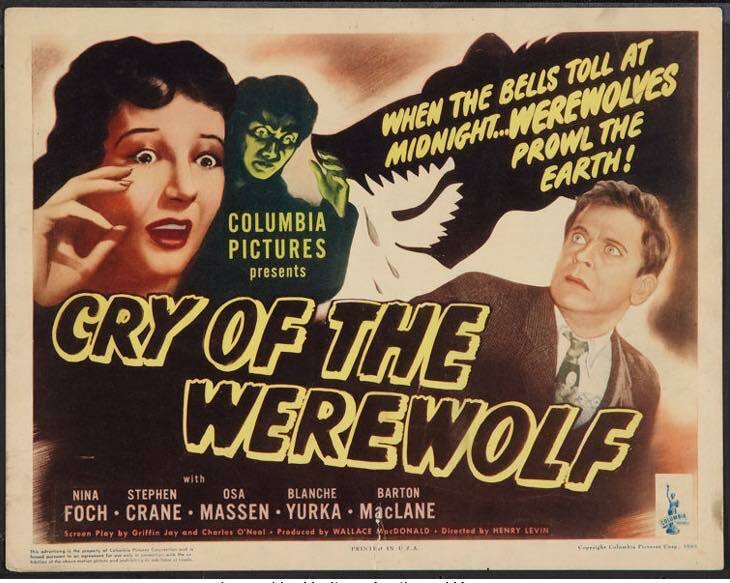 Okay, Cry Of The Werewolf isn’t the most original idea of all time, but there’s nearly a good film in here, but the wheels come off so badly and for no real reason that you’re left both wondering what could have been and baffled as to why it was allowed to happen in the first place.